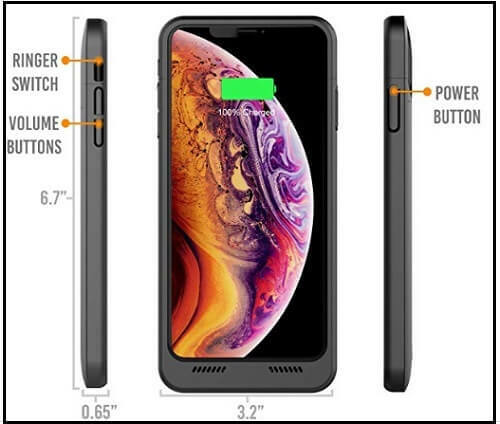 My Wishlist of Top best iPhone XS Max Battery Cases With the vast display size and robust features, you will need some battery backup for your iPhone XS Max. So today we are listing some of the best battery cases for iPhone XS Max. 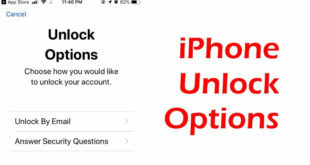 However, if you are the person that doesn’t keep the iPhone XS Max away for a single second, then battery phone cases are ultimate option for you, instead of running towards the socket merely press the button and get your device charged. It is obvious we don’t like to carry heavy and bulky cases because it creates difficulties while traveling and giving around the Malls. Keeping in mind, we have gather five best battery cases for iPhone XS Max. 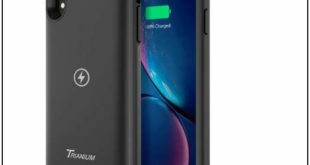 Alpatronix’s this battery case is built to extend the battery life of iPhone XS Max by 5000mAh. Which means you can fully charge the device once and with the remaining battery iPhone XS Max will get around 20% to 30% battery life. It is an advanced battery case which can charge on the wireless smart charger. However, it will charge your iPhone, and then the battery case will get charged. Along with this battery case for iPhone XS Max, you will also get tempered glass screen protector to guard the display from scratches and cracks. 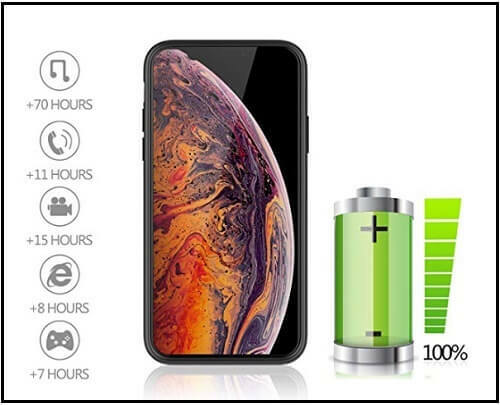 Add 105% battery life on your iPhone XS Max with Moonmini battery case. Its ergonomic design is, and it is convenient to carry the device with side grip. With its full edge protection, the iPhone is safe against the drop and bumps. Additionally, it is designed by considering the protection of intelligent security like Temperature Protection, Over-charge Protection, Short-circuit Protection, eset Protection, Cell PTC Protection, Input overvoltage Protection and so on. This Back Battery cover is Qi Wireless Charging Compatible. Quick On/Off buttons and four levels indicator light the battery phone case is straightforward to operate. You can sync and charge the device simultaneously using one lightning cable. 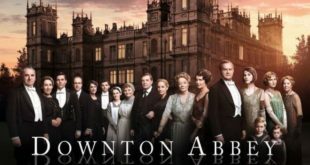 Generally if you want to give real edge protection, then the material of the case should be soft, and fortunately, you will get in this case. Also, it includes conductive built-in magnetic metal so that you can mount in your car’s magnetic mount and charge the device while driving. 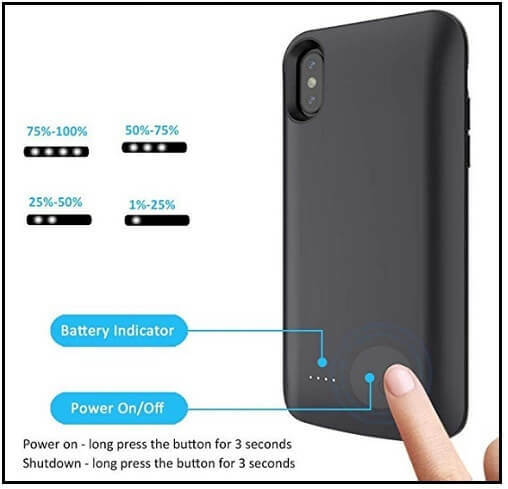 The unbelievable advantage of this battery case for iPhone XS Max is it only adds 0.22 inches to your iPhone which is negligible compared to other battery cases. Although some of the typical phone cases make your device bulky and so you always have to carry that load in your hand. The hard shell texture of battery case gives extra protection from daily wear and tears like scratches. Quickly get to know how much power is remaining in the battery case by its LED light indicator. 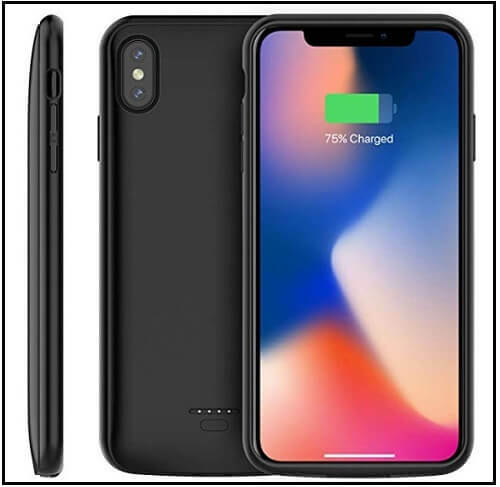 If you are looking for a stylish battery case for iPhone XS Max then here it is. Yuqoka’s battery case for iPhone XS Max is specially shaped to give a glossy look along with battery backup. The positive note of this battery case is you will get a lifetime warranty and so without worrying about the phone case you can enjoy battery back of 6000mAh. Forget the cases which embarrass you and bring this ultra-slim and the travel-friendly case for your iPhone XS Max. 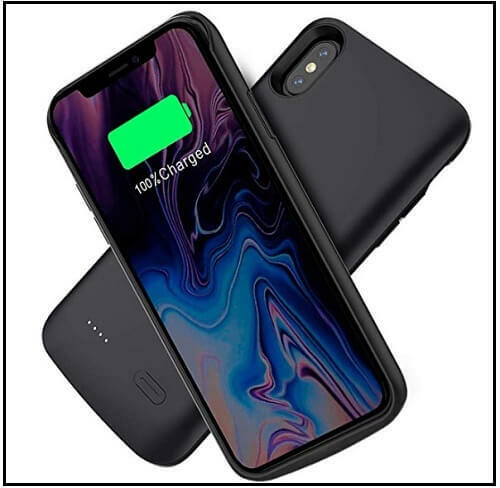 Like it & Share This Top best iPhone XS Max Battery Cases that will also care for your Friend’s iPhone battery.